4. What is Liveaboard Diving? 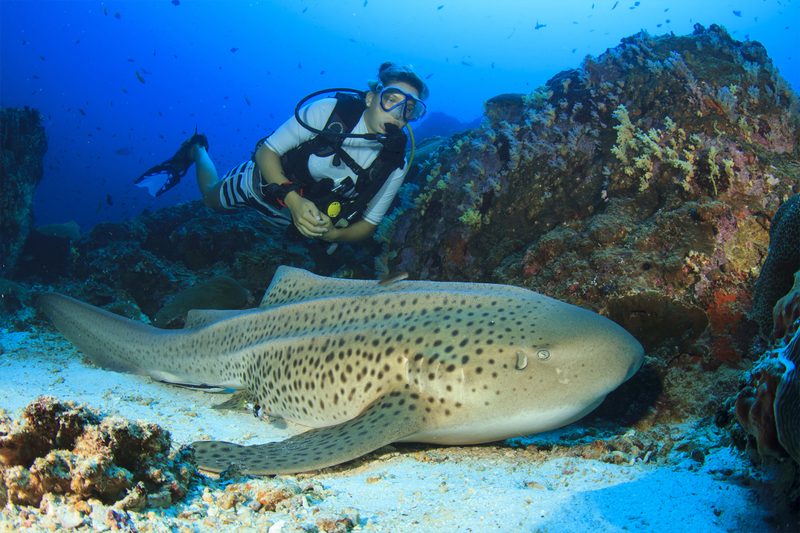 Diving in Phuket – There are only two kinds of people coming to Phuket: those who dive…. and those who haven’t yet! Here we address mostly to those who haven’t yet experienced this amazing activity but have been somehow considering the idea. And yes, you definitely should try! 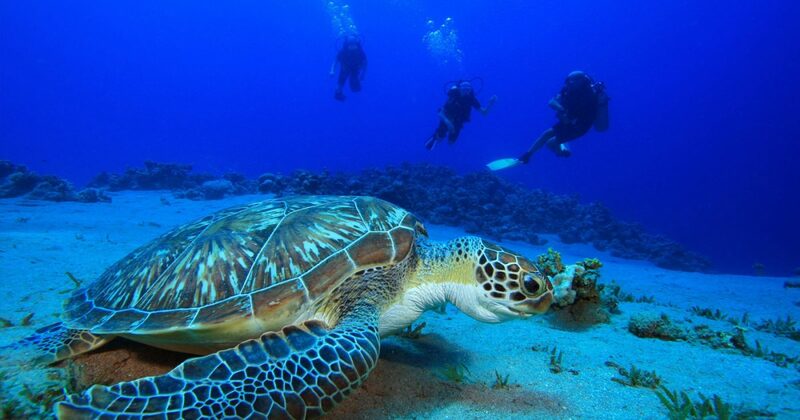 It’s a lot easier than it seems and there are so many amazing dive sites around Phuket. The water is often so clear, it feels like flying above coral and fish. Most people get addicted! Diving in Phuket – Like with other activities such as sea kayaking or canoeing, Phuket is used as a jumping off point to the world class diving to the surrounding regions. 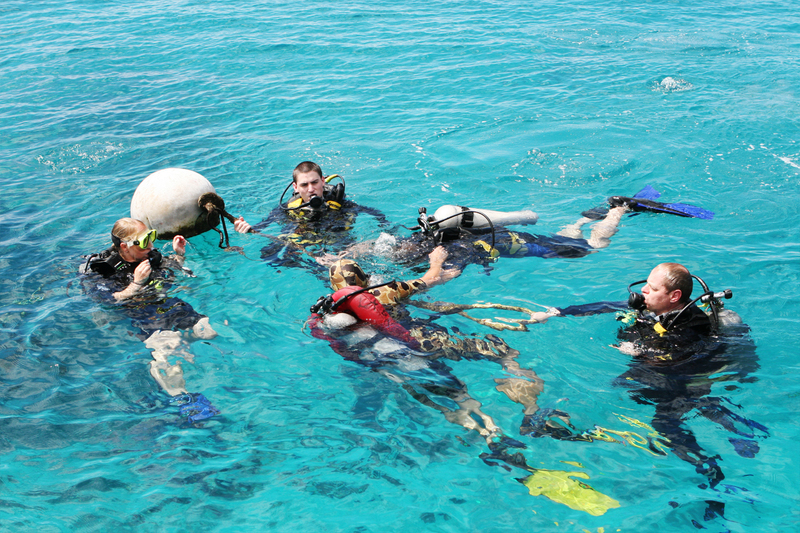 Phuket supplies the infrastructure needed for yacht and diving operations. 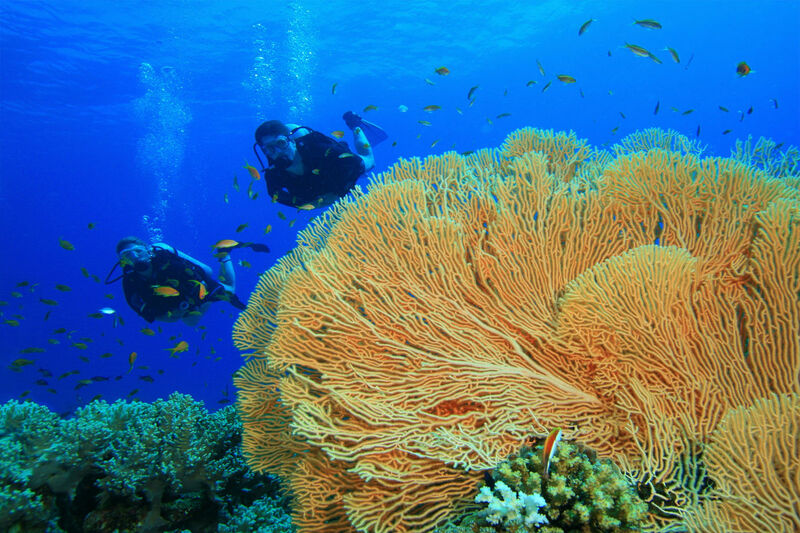 The dive sites around Phuket are usually considered to be in the world’s top ten list of destinations. Phuket has some nice local dive sites, the closest about 20 kilometres from our main port of Chalong Bay. Further east, Phi Phi Islands. 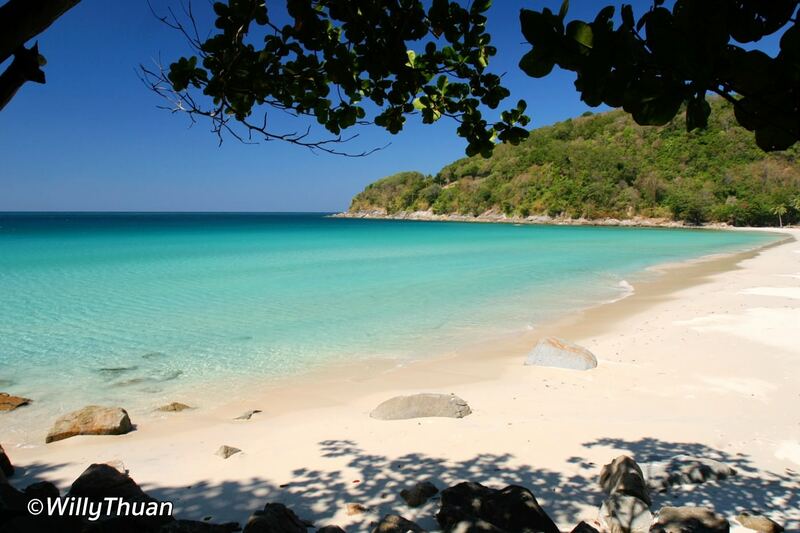 To the south we have two diver-friendly islands, Racha Yai and Racha Noi. These islands lie in deeper water usually giving you better visibility, but the eastern dive sites offer more bio-diversity. We don’t have a lot of options so if you’re here to do day trips, you’ll probably go both east and south but on different days. Day trips are usually made on larger boats that are slow moving but stable and safe, so day trips take pretty much all day. You’ll leave in the early morning and return in the late afternoon. Day trip operators pick you up from your hotel and return you to your hotel as part of the package. 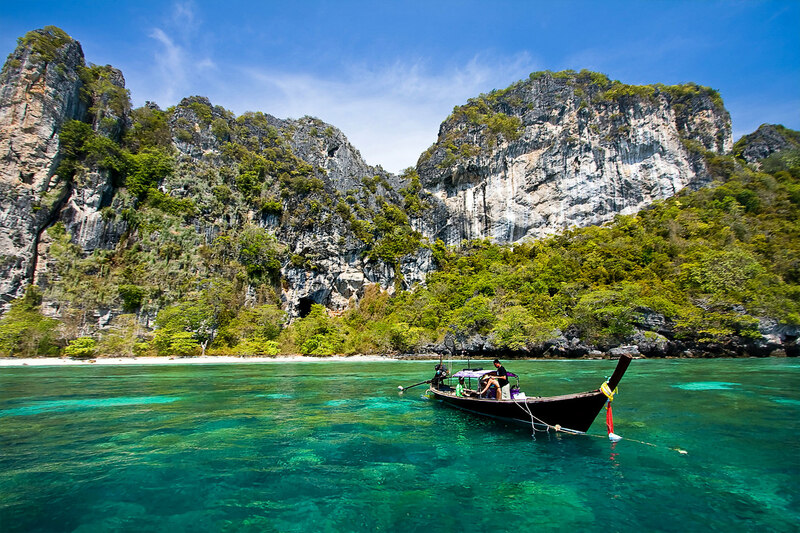 If you’re planning a trip to Phi Phi Islands from Phuket, the day is quite a bit longer as it takes at least three hours to reach Phi Phi from Chalong. Ferries are faster, but they do not cater to scuba divers. If you want to do day trips during your stay in Phuket, it’s best to book a hotel on the southern part of the island so the drive to the pier is shorter. There are several popular local dives off the West Coast of Phuket from November until May each year, and are a fun alternative if you’re busy with family and just want to get wet one morning. Both the northern and southern end of Kata Beach has good coral and good fish life. Le Meridien Phuket at Karon Noi Beach has a nice house reef. Patong has some reefs that are easily reached by long tail boat but offers no beach diving. Kamala Beach has some good local sites reached by longtail boat, and up near the airport at Nai Yang there are a few good sites also serviced by longtail boats. It’s pretty easy to do two dives in the morning to any of these spots. Just ask your local dive shop near your hotel for details. 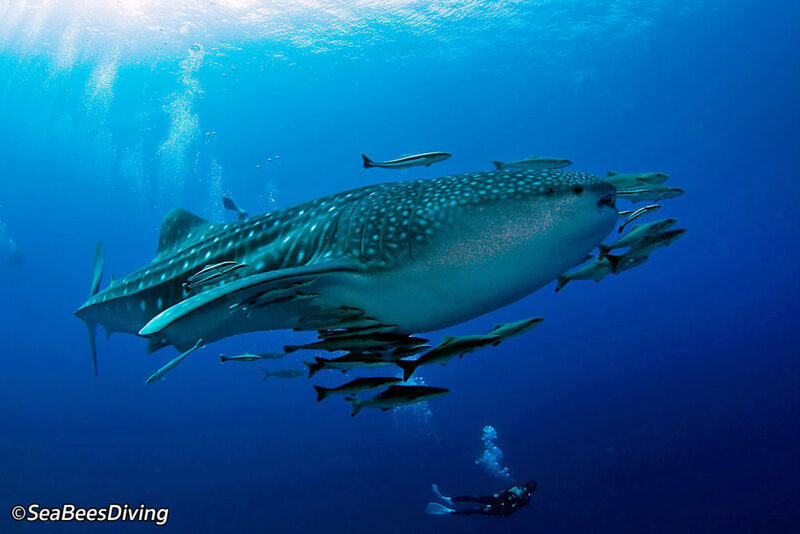 90% of experienced divers who plan a diving holiday to Phuket are interested only in jumping on a liveaboard dive boat. A liveaboard is a like a small cruise ship that offers accommodation on board the vessel for small groups of people, usually between 10 and 24 divers. There are dozens of these boats operating from Phuket though they may leave from ports further north, which require some travelling by road to reach. Liveaboard dive vessels are self-sufficient allowing multiple days at sea. The average trip length is four or five-days, but some vessels that venture further will offer up to 10-days on board. Prices are based on both destination and the boat’s amenities. The more comfort you expect, the higher the price and likewise, the further you go the higher the price as it will take more time and fuel to reach these areas. 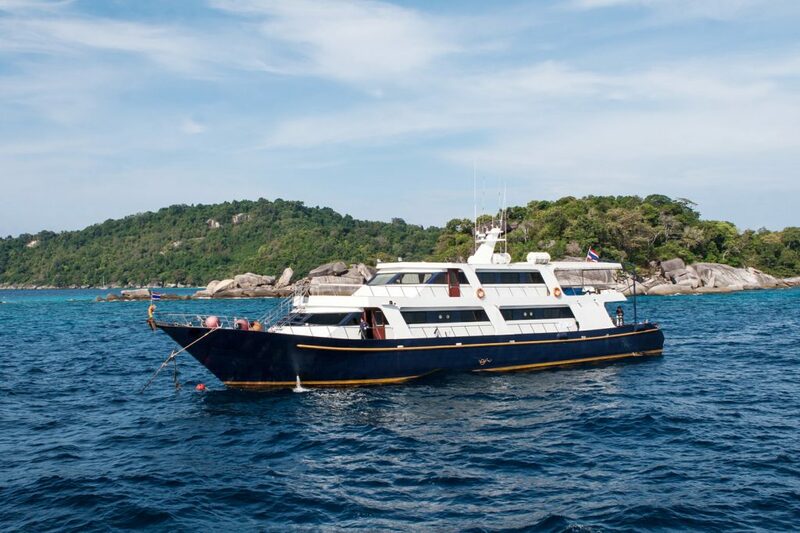 But if you do the math and add up all of the charges associated with diving, a liveaboard is the best value as it includes accommodation, all meals, most drinks and four or more dives per day. It also requires less travel time as while the boat is moving, you’re sleeping or otherwise relaxing and when you’re ready to begin a dive, you’re right over the dive site. The main reason besides cost for diving from a liveaboard is that you are able to reach dive sites further away in comfort. Looking at a map, boats travel northwest to the Similan Islands National Park, a group of nine islands, then onto Koh Bon and Koh Tachai, famous for manta cleaning stations. Then we continue onto the Surin Archipelago including the best dive site in Thailand, Richelieu Rock, about 30 kilometres south of the Myanmar border. Some boats will continue north and with permission, cross the border into the Mergui Archipelago, geologically the same archipelago as the Thai islands, but politically part of Burma or Myanmar. (Both names are interchangeable, one is not more correct than another.) Here we find a wonderland of hundreds and hundreds of islands. 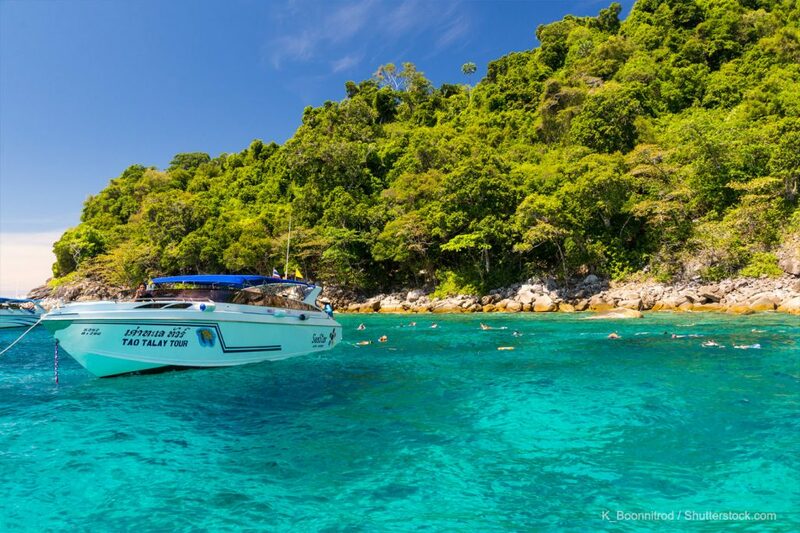 Many think that these islands opened only recently, but Phuket diving operators have been diving here since about 1990. In 1997 the whole archipelago opened up to us. It has been thoroughly explored, the best sites found, though we do find new sites from time to time. It’s more expensive to get here because of entry, port fees and fuel consumption, but the rewards are worth it as there are no crowds and the sheer number of dive sites makes it so we can’t possibly see them all in one trip. 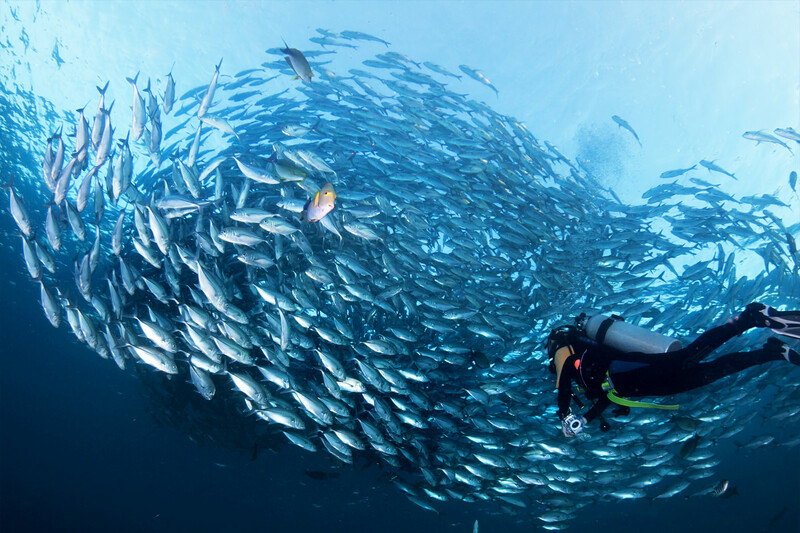 If you’ve never tried scuba diving before, Phuket is a great place to learn to dive. We have some of the best instructors you’ll find anywhere in the world and one of them will speak your language. We have perfect conditions from November until April each year but even during the green season, we have easily accessible teaching dive sites just a short boat ride away. Learning to dive is easier than you think. In fact, it’s one of the easiest sports to learn as you were born with the ability to breath; all we do is teach you to use simple equipment that allows you to breath underwater for an extended period of time, usually about one hour. It is not claustrophobic and though you need to know how to swim, your swimming skills do not have to be extraordinary. You can do a try it dive or in the PADI lingo, a Discover Scuba Dive. This is done with a trained instructor, usually in a pool but often in a safe part of the ocean which has pool like conditions. This experience allows you to see if you like it but doesn’t allow you to dive further except with a professional guiding you. The best way to learn is to take the full diving course. This course gives you more confidence and makes you feel safer as we are actually teaching you to be self-sufficient underwater. The course usually takes around four days and includes theory, pool practice and four dives in the ocean. Diving changes your life for the better. Try it and see. Phuket Weather – When is the Best Time to Go to Phuket?